Most contemporary art on (human body) bio-engineering is a critical comment on modern research involving genetic manipulation. Word Protein is an example of such comment; it is an artistic investigation of form and pattern in nature, and the dialectic between man and machine. This particular piece is a photograph of a protein that is part of a bacterium chosen by poet Christian Bök to realise the Xenotext Experiment project (see the Editorial). The degree to which the biochemistry of living things has become a potential substrate for inscription is increasingly debated. Not simply a code that governs both the development of an organism and the maintenance of its function, the genome can now become a vector for modes of artistic innovation and cultural expression. In the future, genetics might lend a possible, literary dimension to biology, granting every geneticist the power to become a poet in the medium of life. In this spirit, the Xenotext Experiment is a literary exercise that explores the aesthetic potential of genetics in the modern milieu, doing so in order to make literal the renowned aphorism that “the word is now a virus”. Indian patent law recently landed itself in the eye of a TRIPS storm on account of the rejection of a patent application covering Novartis’ famed anticancer drug, Glivec. The rejection stemmed, inter alia, from a unique section in the Indian patent regime (section 3(d)) that seeks to prevent “ever-greening” by prohibiting the patenting of new forms of existing pharmaceutical substances that do not demonstrate significantly enhanced “efficacy.” Not only did Novartis appeal the patent office decision, but in a rather controversial move, it challenged the TRIPS compatibility and constitutionality of section 3(d). This paper not only offers suggestions on how these creases may be ironed out, but also goes on to suggest an amendment to section 3(d). While some of the suggestions in the paper are immediately implementable, other issues will necessarily involve a more detailed empirical/policy investigation. This paper highlights some of the factors that one might consider whilst undertaking such empirical investigation, a task which is likely to go to the very heart of the age-old debate about what constitutes optimal intellectual property norms for developing countries. Like all nations, the national character of Korea has been shaped by a variety of geographic and historical factors. Some of the characteristics that have emerged from Korea’s experience are ‘familism’ and ‘scientism’, both of which have had, and are having, a fundamental impact on the content and application of medical law. These phenomena, combined with recent events both inside Korea (eg: a physicians’ strike (2000) and the more important Hwang scandal (2005)) and outwith (eg: the spread of ‘informed consent’ (1980s), the commencement of the Human Genome Project (1990), and the cloning of Dolly the Sheep (1997)), have contributed to a flurry of recent governance activity in Korea. Given the latest legislative proposals offered, we explore two areas of Korean medical law with a view to exposing their trajectories. First, we examine the governance of the patient-physician relationship in the clinical setting, paying particular attention to consent and to liability. Second, we examine the legal-ethical control of biotech research in the medical research setting, paying particular attention to consent, quality control and limits. We conclude that these two arenas appear to be travelling down two dramatically different (if not divergent) roads; in the case of the former, drifting away from traditional practices, and in the case of the latter, remaining mired in imbalance and dominated by antithetical interests. The traditional methods of record management and the legal system in the UK have not easily supported access to and reuse of public sector administrative records by National Statistical Institutes (NSIs). This paper will consider the measures being taken to address this situation. These include the Statistics and Registration Service Act 2007, which comes into effect in 2008 and strategies, such as the National Programme for IT, (NPfIT), the aim of which is to standardise record management within the National Health Service (NHS). It will be argued that albeit that these are important facilitators of reuse of administrative records for research purposes, the ethical dimensions of such moves must be carefully thought through. This is important if the widespread social acceptance necessary for sustainable access and reuse of administrative records by NSIs is to be achieved. This paper will discuss how lessons can be learnt from the approach taken by the Netherlands to aspects of data management including their approach to access, reuse and future dissemination of statistical products. The face of communication technology is changing rapidly – fixed-line telephony is in decline, while fourth-generation fully-mobile services are coming to the fore and will be widely available in the near future. Some say, “You cannot store new wine in old bottles,” and “Let bygones be bygones,” but I suggest that it is by exploring the old that we are able to understand the new. Many countries’ merger guidelines were enacted years ago, and these guidelines will continue to be applied to specific merger cases now and in the future. 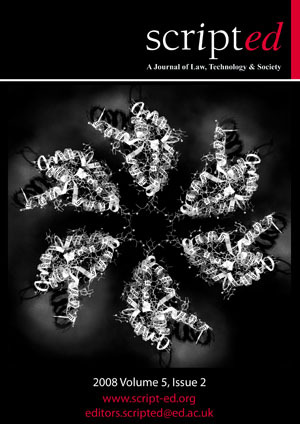 The discussion of merger cases in high-innovation markets contributes not only to understanding the real-world enterprise’s competitive ability to survive the technology war, but also to confirming that traditional rules and assessment standards remain valid in a rapidly changing market and technological environment. In support of this argument, I describe current developments in the mobile communications market and introduce a Korean mobile communications firm merger case. I then review the criteria of merger assessments and analyse the competition issues. I discuss the exceptions where mergers are permissible and the corrective measures taken where they are not. I conclude that the traditional approach to the assessment of merger cases is still valid in a high-innovation market. The standards argued for do not necessarily represent a view as to what the law is or should be. Rather, they reflect an assertion regarding what firms may successfully argue in terms of legal, technological, and economical issues without running risks of antitrust liability under any conceivable standard. We should keep in mind that the fastest route to a destination is not always the best. This article endeavours to highlight the technological developments for Location Based Services by governments in relation to the data protection rules and to the concept of privacy. The main question is whether the ‘reasonable expectations of privacy’ is a suitable concept for privacy protection in the context of geo-information about citizens. The use of modern positioning techniques makes it easy to collect and record geographical location information about people. As a result, time and place are now becoming important elements again whereas in the Internet era they were beginning to diminish. By using location information, governments are able to develop Location Based Services for their citizens. These services are especially interesting from a data protection and privacy perspective because when the services are not in compliance with the data protection and privacy rules, providing these services might be annulled by the courts. Data protection issues relating to location information follow from three European Directives regulating respectively data protection, privacy and electronic communications, and data retention. Where it seems rather easy to conclude whether data protection rules are applicable to location information, this does not appear to be so easy for the recognition of privacy. We shall discuss the ‘reasonable expectations of privacy’ and the privacy concept of Article 8 ECHR in that context. The question is, which one will provide enough guidance for the protection of geo-privacy? On May 16th 2008, the Court of Arbitration for Sport handed down its decision in Oscar Pistorius v The International Association of Athletics Federations. Pistorius is a class-43 (double amputee) athlete from South Africa, born in November 1986. His legs were amputated below the knees when he was 11 months old because he had been born without fibulas (a lower-leg bone which supports about 15% of an adult’s body weight). He started running at the beginning 2004 to assist his rehabilitation from a serious rugby injury, but such was his progress in the discipline that he competed in the September 2004 paralympics, using prosthetic titanium lower legs manufactured by a company in Iceland. He came first in the 200m. At the 2006 Athletics World Championships he won gold medals in the 100, 200 and 400m events and he remains the world record holder at all those distances for class-43 athletes. Pistorius asked to be considered for selection in South Africa’s 2008 Olympic squad in the 400m and in the 4 x 400m relay, using his prostheses but in all other respects running on equal terms against the other participants. A Closer Look at the Canadian Copyright Act: Can Corporations Hold Moral Rights? Traditional wisdom holds that moral rights are personal rights and therefore cannot be held by a corporation. This submission challenges both views. It aims to show that in Canada, moral rights are not entirely personal in nature, and that corporations can indeed hold moral rights. The Internet: Where Did IT All Go Wrong? It is hard to imagine life today without the Internet, and all of the benefits that it brings to our business and personal lives: convenient, cheap and instant communication across time zones and national boundaries; online shopping and banking; document and data exchange without the need to ship media; collaborative working and online entertainment; and free access to more information than previous generations could ever have dreamed of. This analysis assesses the various ways in which the Internet has changed our lives, and the problems that it has brought. It also offers suggestions and advice as to how the effects of those problems can be mitigated in the future.